Mission: The mission of the our residency at the International Center for the Arts at Monte Castello is to create opportunities for focused creative energy as well as dialogue within our community while also drawing upon the rich legacy of Italian art and culture. 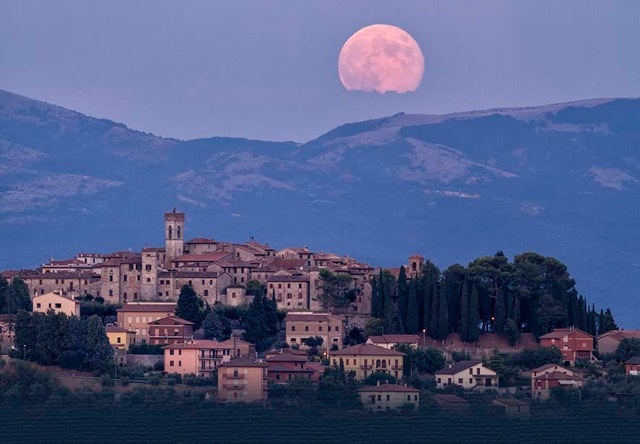 The ICA Residency in Umbria allows mature as well as emerging artists and writers uninterrupted time to pursue their work in a peaceful, focused environment in the historic Umbrian hill town of Monte Castello di Vibio in Umbria/ Italy. Located near some of the most compelling masterworks in the history of art, residents are free to pursue their own interests, working in studio spaces graced with the natural light of Italy or in the village and its landscapes any time of day or night. All residents may audit one masterclass concurrently offered by the Studio School, provided they commit to regular attendance. The coming together of fellow residents, our distinguished Faculty of Resident and Visiting Artists, students from all over the world and the local cultural community of Monte Castello itself offers unparalleled opportunities for immersion in regional culture, in critical exchange and in one’s own work. Within its walls, the village of Monte Castello provides a unique kind of solitude, creating a relaxed and contemplative atmosphere. Clarity of thought is fostered in our environment, where one is surrounded by hills and distant mountains and rewarded by panoramas at every overlook. Echoes of the civilizations that have passed through this little village on a mountaintop stir the imagination. Our residency program dovetails with our Studio School, and as such includes weekly field trips by bus to Rome, Florence, Assisi and other nearby sites to provide assess to urban centers as well as research opportunities in one of the most fascinating regions in the world. Our location in Monte Castello di Vibio is close to the exact geographic center of Italy, with easy access to major public transportation hubs. We can facilitate car rental an/or private drivers and give travel advise as well, thus making travel to major urban areas and seldom seen remote sites equally accessible. Cost: 3450 Euro for three weeks with longer visits of up to 9 weeks or more possible. Airport transfers included. Accommodations: Our dinning and accommodation facilities are central to our program: discussions with fellow residents over morning coffee in the piazza or dinner on the terrace overlooking the Tiber Valley watching the moonrise help to facilitate critical exchange and creative growth.Residents are provided with three home cooked communal Umbrian meals per day, double occupancy accommodation in apartments in the historic village and/or single occupancy dormitory accommodation in a restored twelfth century convent. Private studios with beautiful views are provided for all as well as figure drawing or sculpture sessions in larger shared spaces and/or private atmospheric spaces ideal for the pursuit of writing and scholarship. We provide housekeeping and linens, and laundry facilities with kitchen amenities in our apartment accommodations. A comprehensive digital image library and wi-fi internet are available in our Commons Rooms 24 hours a day. Demographic/Medium: We invite international artists in all media, writers, scholars, educators and residents in other creative disciplines to our program. We specialize, however, in the materials and traditional processes of painting. Regular demonstrations on topics ranging from pastel making to digging for local pigments in earth compliment our sessions and are aimed at both artists as well as general participants. We use Kremer Pigments. Benefits: Well lit studio spaces are provided for all participants in a 15th centre Palazzo and an end of session Group Exhibition in the Bocca al Lupo Gallery or Presentation at Teatro Concordia completes every session, giving residents opportunities for international exhibition. Regular talks and critiques by Resident Faculty, Visiting Artists and Performers compliment performances in the Teatro Concordia and Solo Exhibitions by recognized painters and artists. Masterclasses with recognized professionals are included in concurrent residencies: This year’s special offerings include a session with Distinguished Artist in Residence Martha Armstrong, ‘Painting at Villa Pai Faena’ June 1-12, held at a beautiful working olive farm, vineyard and villa 2k from our main facility. A lecture/workshop with Dr. George Kremer of Kremer Pigments is offered for 2016 as well. Posted in ICA Residency in Umbria, ItalyTagged all media, and Sculpture, apartments, art residency, art residents, Artist Residency, Assisi, Communal, community, contemplative, creative arts, creative energy, critical exchange, cultural community, dialogue, digital image library, distant mountains, dormitory, Educators, Environment, Exhibition, Faculty of Resident and VIsiting Artists, figure drawing, Florence, focused, former International School of Drawing, hills, housekeeping, ICA Residency in Umbria, International, International Center for the Arts of Monte Castello di Vibio, Italy, landscape, meals provided, Monte Castello di Vibio, no application fee, non-visual, opportunities, Painting, panoramas, peaceful, performer lectures, private studios, private worksapce, pursue work, relaxed, research, residents, Rome, scholars, sculpture sessions, shared space, Solitude, students, studio classrooms, Studio School, studio space, Teatro Concordia, Umbria, uninterrupted time, village, Visiting Artist, visual artists, weekly field trips, WritersBookmark the permalink.